When hard-working mechanic Denny attends a corporate focus group to earn extra money, he discovers that Frost & Revans Marketing wants more than his opinion. The group he joins is manipulated into performing an ancient rite, summoning demons that intend to seize the bodies of the unwitting test subjects.Â Only a secret Denny struggles to keep hidden allows him to escape possession and the ensuing slaughter. But his getaway is short lived. The demons hunting Denny are one of two summoned tribes, and every nine years they face off in a tournament that can change the course of human history â€“ or end it. He is forced to decide between joining the fight or escaping, leaving the human race open to extinction. Six meet six in the arena. The fate of mankind is the prize. 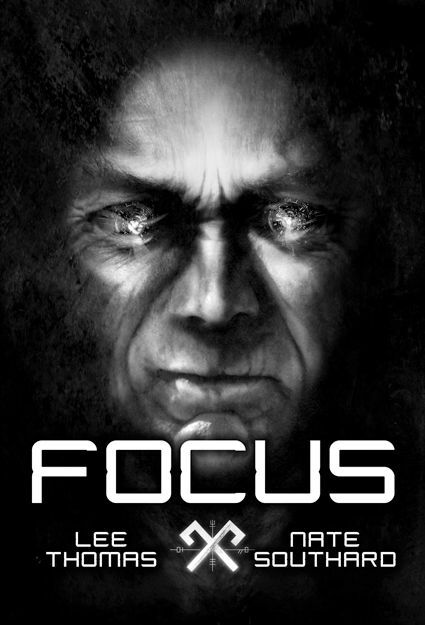 FOCUS is a limited edition, paperback novella available at the 2011 World Horror Convention from Thunderstorm Books.Â Stop by their table in the dealer’s room to purchase a copy.